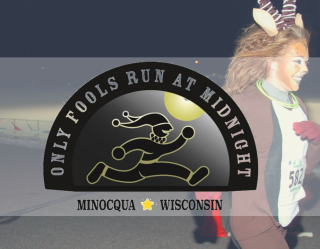 Join us for the Only Fools Run at Midnight 5K Run/Walk on Saturday, April 6 at 10:00 pm at Lakeland Union High School. Come in Costume! Special awards given to the Best Dressed Fool and Best Dressed Groups of Fools. The doors open at 7:00 pm for registration and social time. Music, snacks and beverages will be available to all those that register for the event. The 5k begins at Lakeland High School and takes racers along the east shore of Lake Minocqua to the back roads of the island, past the famous Little Brown Jug and ultimately to the Bearskin Trail, and passing Torpy Park downtown Minocqua. The cost per individual is $25 for pre-registration $30 for day-of-event registration. A 5K Family (up to 5 participants) can pre-register for $70; $80 on Race Day. There will be a special door prize game called Jester’s Juggling Balls door prize. Draw a colored ball from a box and win a glow necklace, bracelet, eye glasses, or other glow object. Don’t forget to ask for your Jester’s Ball at registration!